"The only reasons we are giving it up is because we are so far from our California family, which is why we have decided to return to the West Coast and make our home there," Mr. Willis, 63, said in a statement. "Our youngest daughter Mabel said last week that she wishes we could put lots of balloons on our house, like they did in the movie ‘Up’, and send it to the West Coast. I agree, that would be perfect." 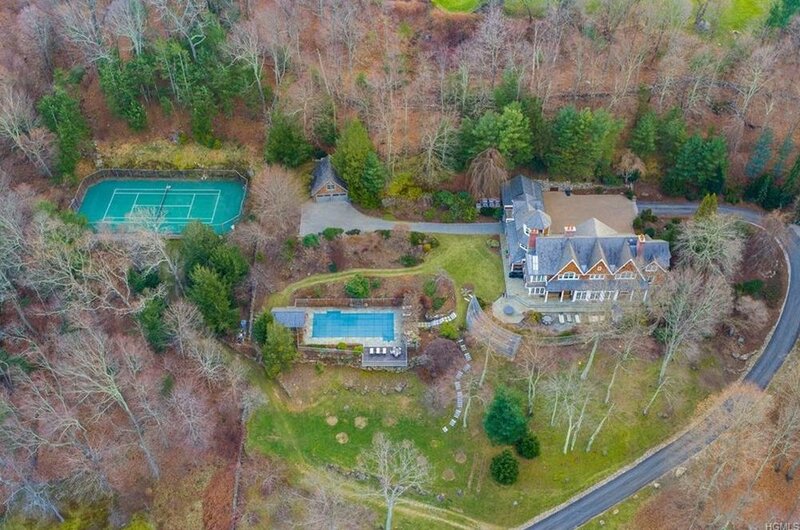 The Willises paid $12 million for the property in 2014, and have been splitting their time between it and their apartment in Manhattan, which is about an hour’s drive away, according to Ann Cutbill Lenane of Douglas Elliman, one of their listing agents. The roughly 9,000-square-foot, Craftsman-style main home has a large living room with views of the surrounding countryside and the nearby Croton Reservoir. There is a playroom, a media room with a video system and a wine cellar. Perched on top of the house is a small octagonal room with views of the area. There are five bedrooms in total. Three other cottages on the property, accessed via a separate driveway, are used to host guests, house staff or serve as office space. Together, the three homes include an additional seven bedrooms. Mr. Willis said the extra space allows them to "offer out-of-town friends and family the option to spend loads of time with us without feeling they are under-foot." The Willises also have their own vegetable garden, and have lived a sort-of farm-to-table lifestyle by growing some of their own produce. "I’ll never forget the girls proudly bringing in their first harvest of organic vegetables from our beautiful enclosed garden," Mr. Willis said. The family will keep their apartment in the city, Ms. Lenane said. In early 2018, the Willises bought a four-bedroom, roughly 3,000-square-foot apartment on the Upper West Side in a condominium project called One West End, The Wall Street Journal reported. It had been on the market for almost $8 million. Mr. Willis has appeared in movies such as "Die Hard" and "The Sixth Sense." His current projects include the M. Night Shyamalan film "Glass," in which he stars alongside Samuel L. Jackson and James McAvoy.